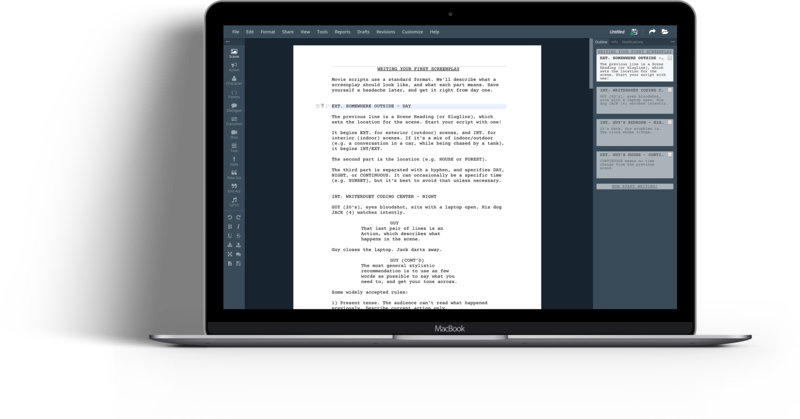 Your first three scripts are completely free. No page limit, no time limit, and no limitations on export/import. 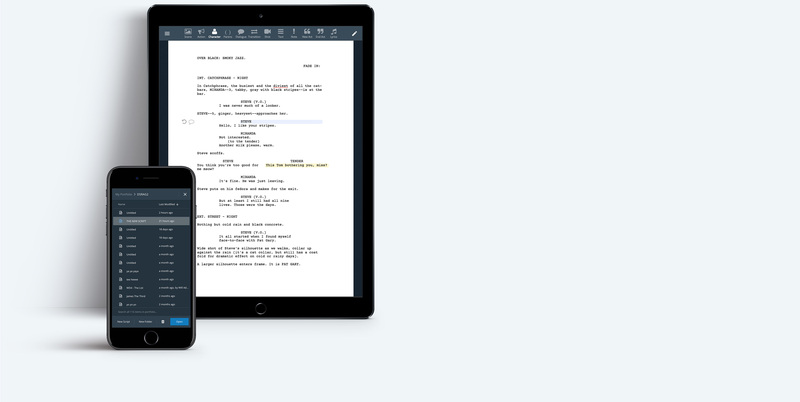 Upgrade to Pro when you're ready for unlimited scripts, real-time collaboration, and the full feature set: Online-offline desktop app, edit-by-edit script time machine, and complete toolsets for line-by-line customization, film production, and granular analysis. Subscribe to Pro for $11.99/mo or $89/yr. Half off for students and teachers. Pro updates are always free. © 2019 WriterDuet Inc. All rights reserved.